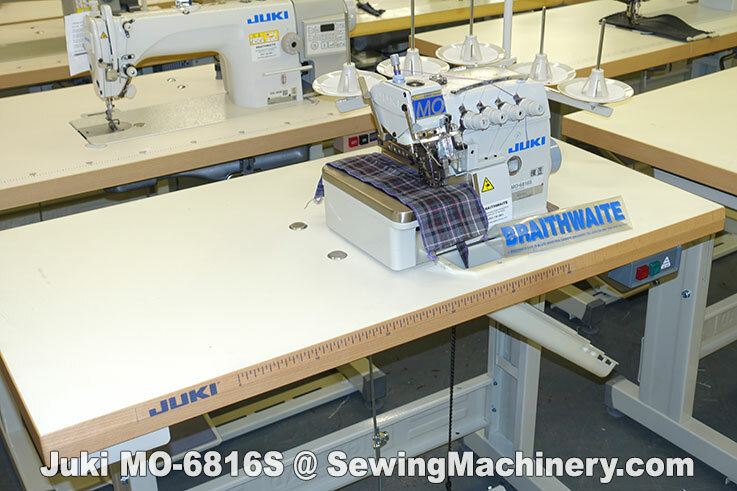 The MO-6816S is a twin needle 5 thread safety stitch overlock model supplied with metal unit stand, wooden table top and industrial rated sewing machine motor. 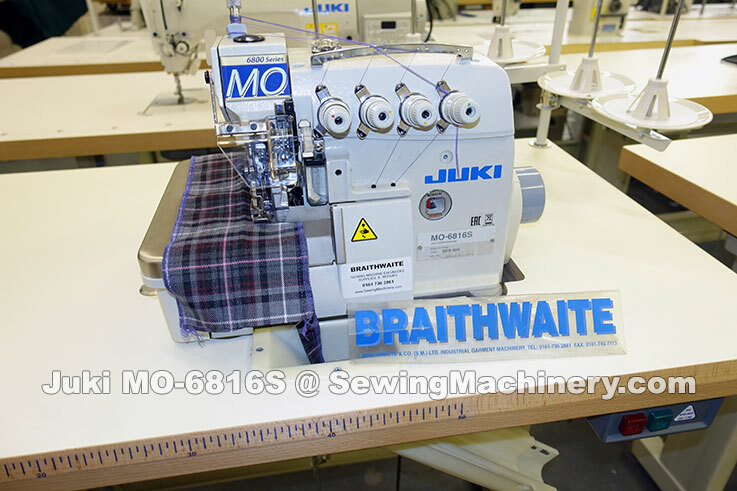 Juki MO-6814S = 4 thread twin needle overlocker sewing machine. Juki MO6816S overlock sewing machine assembled with unit stand, table top and motor.